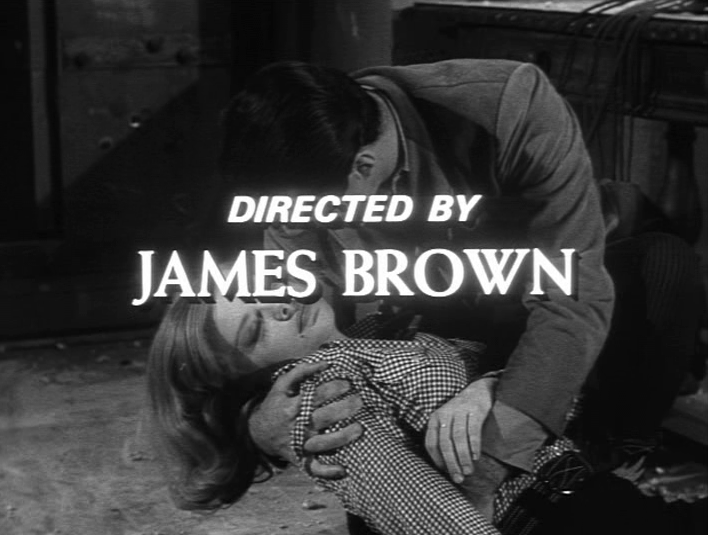 Veteran assistant director, production manager, and producer James H. Brown died on July 10. He was 80. Brown also directed a handful of television episodes: six Honey Wests, at least one Tales of Wells Fargo, a Wagon Train, an Alfred Hitchcock Hour, a trio of Longstreets, a Doc Elliot, and a Circle of Fear. But he spent most of his career in production, a reliable behind-the-scenes man tasked with keeping the creative types on time and on budget. Brown was a source for several things I’ve written over the years, starting when he was in college in the late nineties. He was at an important place at an important time: Brown spent his first decade in television at Revue Studios during the period when that independent company, a part of the MCA empire, bought Universal Studios and grew into the biggest behemoth in television production. Most of the production office staff at Revue were movie veterans, with careers dating back almost to the silent era. (I interviewed one longtime Revue assistant director, Willard Sheldon, who got his DGA card in 1937). But Brown was just out of college when he began working at Revue in 1953, and he was one of the few people I found who could tell me about the company’s inner workings. But while Brown gave me some useful background, my attempt to interrogate him for a longer oral history was basically disastrous. Generous with his time but also modest and circumspect, Brown answered my questions with little detail or embellishment. If he had anything negative to say about anyone he ever worked with, those stories went with him to his grave. As a UCLA student, Brown had no thought of entering the movie business until he became friendly there with members of Alan Ladd’s family, and switched to a major in film. A mailroom job at MCA led to his promotion to second assistant director in late 1955. Brown’s duties in that capacity included “paperwork, doing all the chasing and setting the background. Getting actors out of their dressing rooms, getting extras onto the set.” A junior administrator without an office, Brown would grab a table on the set and make out the next day’s call sheets by hand. In the early days, when there were quite a few directors coming out from live television in New York and had been used to using three or four cameras, sometimes single cameras really kind of threw them in terms of how to stage and how to use a single camera. So a lot of times I’d take a director home and have dinner at my house and then sit down and go through the script with them and try to help advise him how to use a single camera. And the directors who were coming out of film were used to having more money and a bigger budget, more time to shoot. So I would try to guide them. Often in Hollywood, but especially at the budget-conscious Revue, directors often viewed their ADs and production managers as the enemy, as spies for the production office. I got the sense that Brown, although loyal to the front office, succeeded by positioning himself as more of an ally to his directors than many of his older, more jaded colleagues were willing to do. Brown worked on most of the early Revue shows at least a few times as a first assistant: The Restless Gun, M Squad, Johnny Staccato, Riverboat, Checkmate, Laramie. But he was assigned most often to the studio’s dramatic anthologies, which he thought were “treated more as the A-list because of the casting, the producers, and the writers,” and to the long-running western Wagon Train. On Wagon Train Brown became friendly with Ward Bond, and observed a falling-out between Bond and co-star Robert Horton as the latter sought to get out of his contract and leave the series. “Bond was a wonderful, warm person. Gruff on the outside. Demanding, but not unfairly demanding. I think he felt as if Horton wanted abandon ship, and he was the skipper,” Brown said. Of the Revue anthologies, Brown worked most often on The General Electric Theatre, whose host was Ronald Reagan. “He always came on the set and had four or five jokes he wanted to tell everybody before he went to work,” Brown remembered of Reagan. Brown’s favorite directors were John Ford, who he assisted on episodes of The Jane Wyman Theatre and Wagon Train, and Alfred Hitchcock. Brown supplanted Hilton Green as Hitchcock’s first assistant of choice on his eponymous series, and followed Hitchcock to The Birds and Marnie as well. (Ford also asked Brown to assistant direct a feature for him, The Long Gray Line, but Brown was unavailable.) More than any of the rank-and-file episodic directors he worked with, Brown was impressed by Ford’s and Hitchcock’s effortless command of their sets. “They were the best teachers I ever had,” he said. After leaving Revue, Brown moved briefly to Four Star Productions (where he worked on Honey West and Amos Burke, Secret Agent) and then to Paramount (The Brady Bunch, The Odd Couple, Longstreet). At Revue, Brown had directed some second units, including a batch of San Francisco exteriors for Checkmate, as well as Robert Horton’s outdoor screen test for Wagon Train and many of Hitchcock’s and Reagan’s introductions for their respective shows. That experience led to his own desultory directing career, which consisted mainly of assignments that fell to him when another director dropped out. Brown also spent a few years directing television commercials (for Sears, AT&T, Dove Soap, Chevrolet, and Maxwell House’s late sixties “my wife” campaign), and briefly considered transitioning into a full-time career as a director. Instead, Brown became a line producer, with credits on Joe Forrester, The Quest, Dallas, and a number of made-for-television films. He retired in 1992, following an unpleasant experience on the telefilm Danielle Steel’s Secrets. But, as was his way, Brown would never tell me exactly what went wrong on that show. While I have nothing but respect for the late Mr. Brown’s ethic of not speaking ill of others, I don’t know that history is well served by such an approach. Being respectful of the immense talents that were Misters Hitchcock and Ford is fine, but their biographies are chock full of such tributes. I could tell from the hugely enjoyable post about your interview with Harry Landers that he was far more interesting an interview subject. I’m sure that his frankness was one of the main reasons. Stephen, I gather that, as an historian, you wish all of your subjects were a bit more like Mr. Landers in being frank without “dishing dirt”? Todd, that’s sort of true, but I do respect it when people choose to keep their own counsel, or take things off the record. It kind of crosses me up as an oral historian, but I’m sympathetic to their point of view. At the other end of the spectrum, sometimes I talk to people who relish gossiping so much that it makes me uncomfortable (and I wonder whether things are being embellished). Just wanted to say, Stephen, how much I enjoy your obits…as an avid credit reader, it’s always nice to know the full story about some of the lesser-known talents. Even the major talents you write about, I get a new sense of what they were all about. Fantastic work! !